Time-Honored Funeral Home that Keeps Your Feelings and Budget in Mind. When a family member or friend passes away, it’s a very emotional and stressful experience. 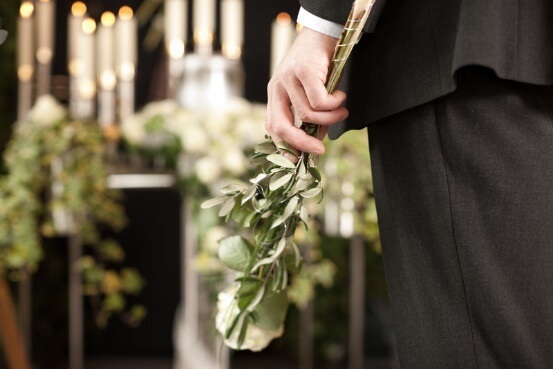 We help you with your plans to honor the deceased the way you would like it expressed. Each deceased is unique and we recognize that and will assist you in all of your plans. Call anytime for your free consultation. Our family-owned funeral home in New Jersey, has respectfully served families in both North and South New Jersey. Our family has worked in this business since the 1920s, and John is the third generation to carry on the tradition of helping people make funeral arrangements. We make every effort in trying to reflect your funeral selection needs. We are a member of the New Jersey State Funeral Directors Association (NJSFDA).